The large area scintillation detector is the latest addition to the scintillation detector family. It is primarily designed for use with a Bent Crystal Laue Analyser (BCLA), where the BLCA is positioned infront of the detector to discriminate the energy range before being counted by the detector. 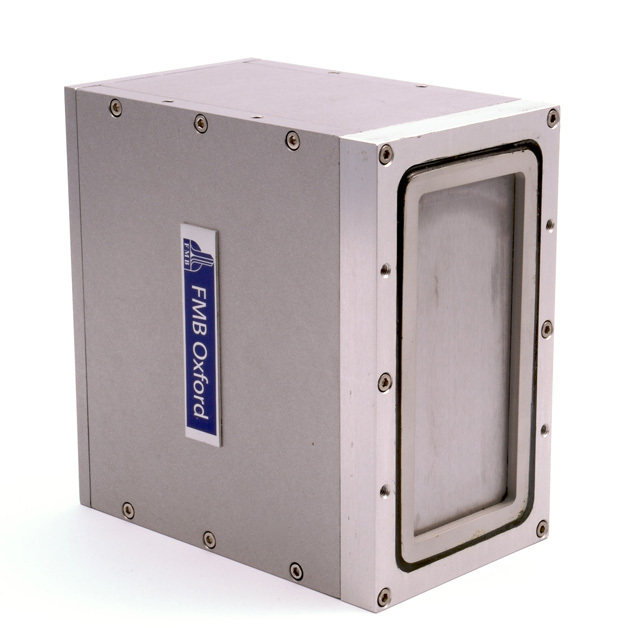 The Detector consists of two photon multiplier tubes housed in an aluminium body with a Beryllium window. The signals from the two internal detectors are counted seperately, this allows the position of the Detector head to be optimised in relation to the BLCA; when both signals are the same value the detector is in the optium position.